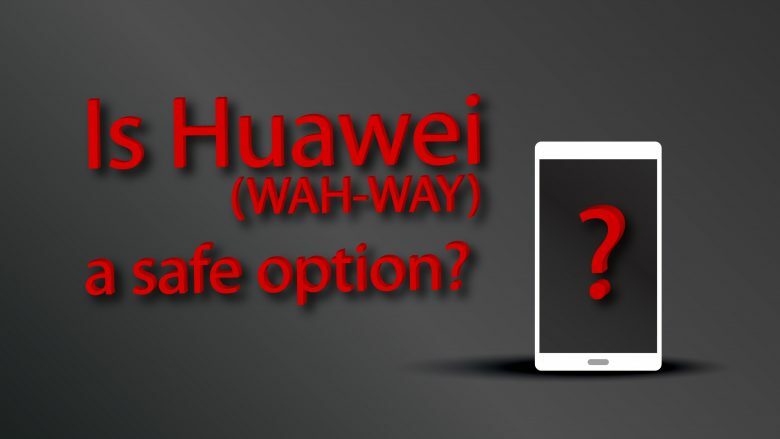 Home »Mobile Devices»Is Huawei (WAH-WAY) a Safe Option? Times are changing in the smartphone industry; the days of $600 phones have been replaced with the latest iPhone and Samsung models well over $1,000. As the price of conventional brands continues to surge, a new market is opening to fill this void: Chinese smartphones, which offer eerily similar hardware for costs far cheaper. Of these, Huawei is perhaps the most prominent, recently peaking at 15.9% global market share. While this may not sound important, know also that this is second highest beneath Samsung (Chau and Reith, 2019). The increased attention isn’t all positive, though; Huawei has been facing stepped-up scrutiny from the United States government regarding security and privacy concerns. Tensions have escalated as a result of criminal fraud charges, to which Huawei pleaded not-guilty in late February (Bloomberg, 2019). This begs the question: are these cheaper products worth the risk they may pose? According to the US government, the answer is a resounding no. The FBI, CIA, and NSA have all advised against using Huawei’s products. Regarding the phones, FBI Director Chris Wray insinuated Huawei was “beholden to foreign governments,” and stated, “it provides the capacity to conduct undetected espionage” (Larson, 2018, p. 1). In other words, there’s a very real risk of personal data being stolen. Huawei has vehemently denied such claims, citing a lack of evidence and comparing the investigation to McCarthy’s witch-hunts during the 1950s (Kuo and Leyland, 2019). However, some trepidation is understandable; Huawei’s CEO, Ren Zhengfei, was previously a member of the Chinese military (Tejada, 2014). Regardless of any actual spyware, the US government has implemented heavy-handed policies against Huawei, even going so far as to block the corporation from selling its phones in any US carrier stores (Villas-Bolas, 2018). In turn, Huawei has recognized that it is not welcome in the US market, and no longer ships phones here (Moore, 2018). Though it is possible to import them, Huawei will refuse to support the device or honor any warranty claims. Thus, at this time, it’s ill-advised for anyone in America to buy their products. Consumers looking for an alternative might be better served with a Moto or another US-localized device. Bloomberg. “Huawei Pleads Not Guilty in U.S. Case; Canada CFO Decision Looms.” Fortune, 28 Feb. 2019, fortune.com/2019/02/28/huawei-pleads-not-guilty-in-u-s-case/. Chau, Melissa, and Ryan Reith. “Smartphone Market Share.” IDC, www.idc.com/promo/smartphone-market-share/vendor. Larson, Selene. “The FBI, CIA and NSA Say American Citizens Shouldn’t Use Huawei Phones.” CNN Money, 14 Feb. 2018, money.cnn.com/2018/02/14/technology/huawei-intelligence-chiefs/index.html. Kuo, Lily, and Leyland Cecco. “China Accuses US of Suppressing Its High-Tech Companies.” The Guardian, 17 Jan. 2019, www.theguardian.com/technology/2019/jan/17/chinas-huawei-reportedly-targeted-in-us-criminal-investigation. Moore, Mike. “Huawei Mate 20 and Mate 20 Pro Won’t Go on Sale in the US.” TechRadar, 23 Oct. 2018, www.techradar.com/news/huawei-mate-20-and-mate-20-pro-wont-go-on-sale-in-the-us. Tejada, Carlos. “The Search for Clarity on a Key Question: Who Owns Huawei?” The Wall Street Journal, 15 Jan. 2014, blogs.wsj.com/chinarealtime/2014/01/15/the-search-for-clarity-on-a-key-question-who-owns-huawei/. ← Previous Previous post: How Do You Protect Data?